Leatherworking creates items of leather and mail, both as armor and armor enhancements. 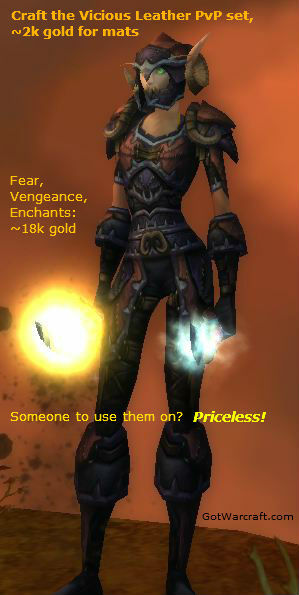 Rogues and Druids will want your leather items, Shammies and Hunters will want your mail items. Starting from skill level 400 Fur Lining is a self-only enchant that adds up to 500 Int, Ag, Str, or 750 Stam to your bracers. It automatically improves as you level. Leg Reinforcements add a nice stat bonus. Mists of Pandaria – Lots of new items are coming in and Leatherworking will let you create then up to item level 553 (in patch 5.4.) The new skill cap is 600, the new title is Zen Master Leatherworking, you can train up at 500+ and have to be a minimum of level 80. You can see a list of the new Leatherworking products here. Obviously Skinning is the perfect compliment to Leatherworking. Enchanting is also a good compliment to Leatherworking. You’ll be able to enchant any gear you make for yourself and you can put enchants on gear that you are selling. You can also disenchant the surplus green and better gear that you create. 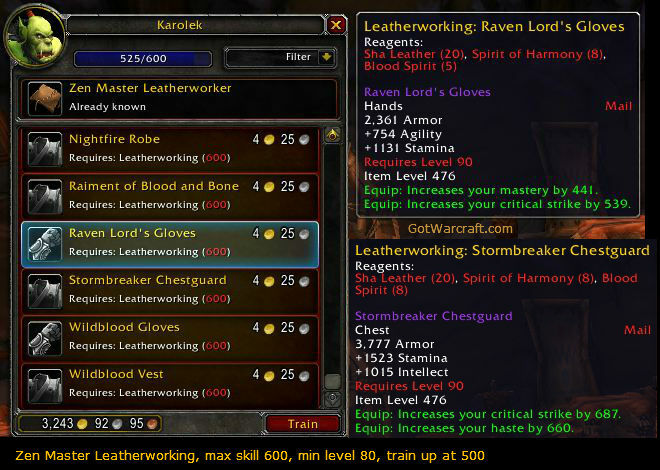 Note About Your Level: You do not have to be level 90 to get to Zen Master Leatherworking, you DO have to be pretty close to level to 600. 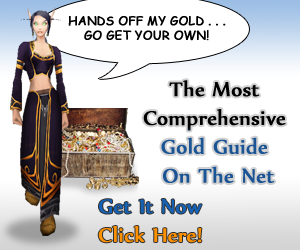 GO here and check out Zygor’s leveling guide and get to 90 fast. 5x Sha-Touched Leather – 125 pieces of Sha Touched Leather will get you to 525 skill. In the new zones the LW trainers are Clean Pelt and Masster Cannon, both in Kun Lai Summit and both are friendly to both factions. Or you can take the portal back to your capital city (or mage portal) and get training there. In patch 5.4 there is a new cooldown. Hardened Magnificent Hide, which uses two Magnificent Hides and creates the hardened version. This teaches you a new recipe, usually some Crafted Malevolent PvP piece (requires skill 600.) The hardened hides are needed for the epic PvE items you will discover, which require skill 600. You will need to find a recipes which will teach you the research skill, Pattern: Hardened Magnificent Hide and Its Uses. It’s a world drop in Pandaria (and elsewhere?) which means anything in Pandaria can drop it. I found mine after a dozen or so mobs. There is a similar recipe, which is also a Pandaria drop: Magnificence of Scales, which uses Prismatic Scales and will teach you the same recipes as the Magnificence of Leather from 5.3. In patch 5.3 You will receive a daily cooldown, Magnificence of Leather, which will allow you to eventually make all of the Crafted Dreadful PvP gear recipes, leather and mail, and they’re much better than the Contender recipes. Note that each use requires one full stack of Exotic Leather and creates one Magnificent Hide, in addition to teaching you the appropriate recipe. Creating any of the recipes requires 1 or 2 Magnificent Hides. The patterns for the Contender’s gear are purchased from vendors in the Vale of Eternal Blossoms and cost 1 Spirit of Harmony each. All you need to do to access the recipes is to complete a quest to get to the zone and your leatherworking skill (if you’re not a LW you won’t be able to see the recipes.) There is no other requirement to be able to buy the recipes. Spirits of Harmony are not required to max out your Leatherworking skill. They are required to make the epic gear from these vendors. (iLevel 476+) and you will need at least three to make any of the items. How do you get your Spirits? Motes of Harmony are world drops. Kills a few dozen of anything (other than players) and find a Mote. Ten Motes can be combined into one Spirit. Leveling from 85 to 90 might get you enough Motes to make a half dozen Spirits. Some Daily quests award a Treasure of the Vale which might (roughly 30% chance) contain a Spirit. This might be the easiest way to get these things. PvP: 600 Conquest points from PvP will buy you a spirit from the PvP vendors. If you have appropriate rep with the Tillers then you can grow motes of harmony and might be able to net about 1 Spirit per day. See above for the Vicious gear. 15x Exotic leather for leather items. 15x Prismatic Scale for scaleitems345 leather/scale pieces gets you from 555 skill to 600. Higher level recipes will provide more skill points per use. Congratulations on maxing your Leatherworking skill! I think all of those things that list the # of “Sha Leathers” should be changed to “Exotic Leather”. But nice guide. Helped me out a lot. Thanks, and good point. I’ve been planning to go over those guides now that things have settled out. Hey there. Have a question about kicking off MoP Leatherworking. Right now I have the Drakehide and Charscale Leg enchants showing as +5 skill at 525… Do you think stacking mats for these and making them right when the expansion drops could give a speed boost? I am not sure because I can’t tell when they will yellow out or stop being worth 5 skill points..
1) Mats will be very expensive at launch, so get them now. So check your recipes and set your self up to get as far into the new skill zone as you can at launch.